An accurate kitchen thermometer is an essential tool, from candy making, yogurt, to checking the internal temperature of cooked meats when baking, smoking or grilling. I own several thermometers, each with a specific purpose. You do not want a cheap thermometer; you will get what you pay for. My $15 Pyrex digital thermometer only lasted two years. 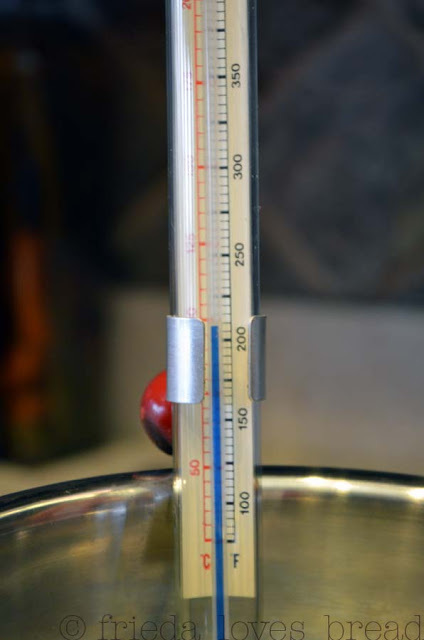 Glass thermometers are great for deep frying or making candy, as they clip on the side and can withstand high temperatures for long periods of time. Digital thermometers, such as this Thermapen, measure temperatures quickly and accurately, with 3-4 second readings. It is a very popular choice with America's Test Kitchen and chefs. It feels heavy duty, the display can be read vertically/horizontally, and has a backlight for easy reading. 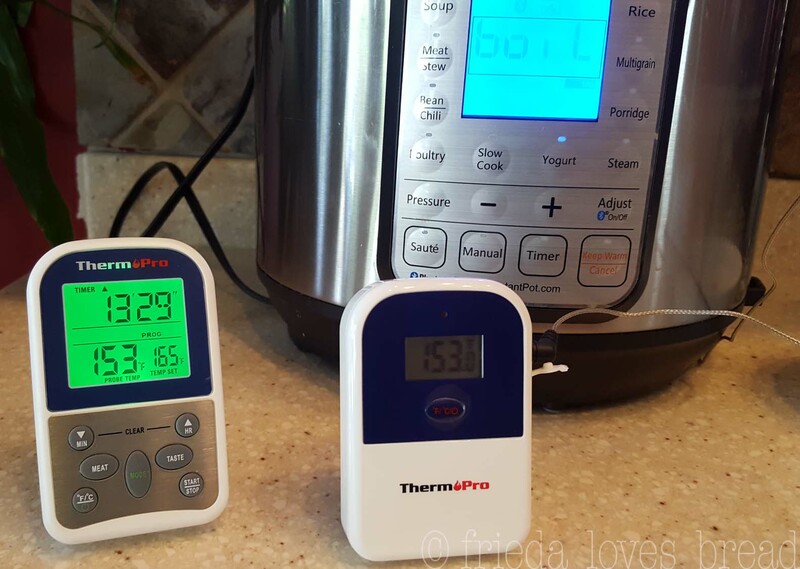 When I need a probe thermometer for cooking a turkey in the oven, smoking meats or grilling, this ThermoPro Wireless digital thermometer is my choice. I can clip the monitor onto my belt or have it on the counter, up to 300 feet away and it will beep when the internal temp is reached. This is the thermometer I used for testing my Instant Pot steam temp for canning. For everyday use in my kitchen, this is my overall favorite: LavaTools instant read thermometer. 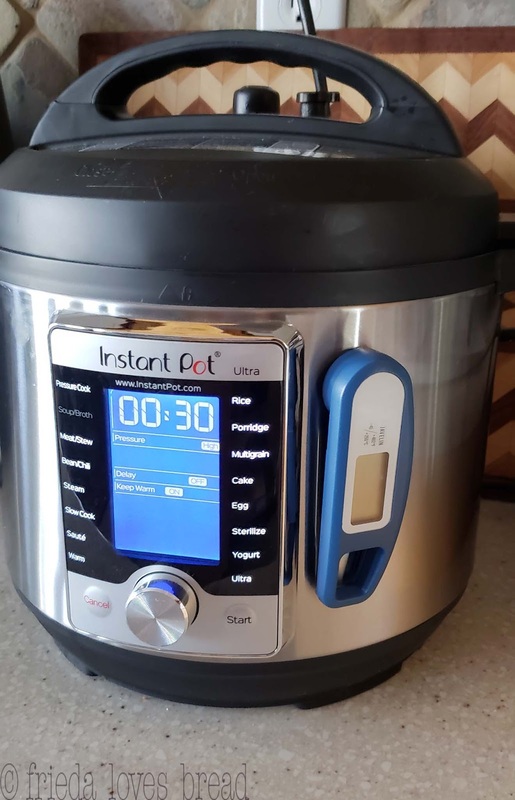 It's compact, fast, accurate, has decimal readings, splash resistant, and budget-friendly. It even has a magnet, so you know where it is at all times. 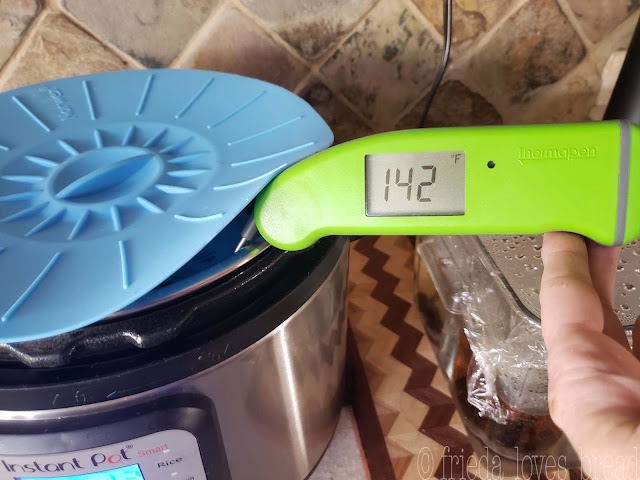 I've had my LavaTools thermometer since 2015 and it works GREAT! 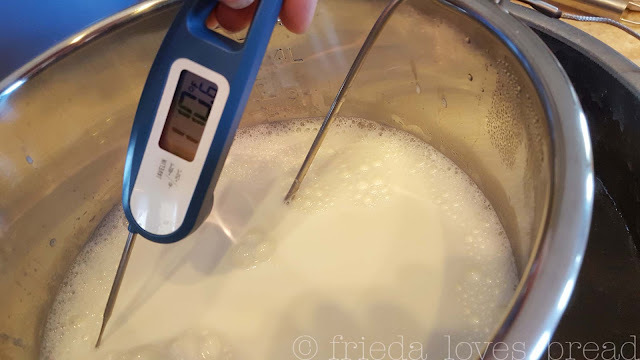 Since I love my LavaTools thermometer, here's your chance to win your own LavaTools digital thermometer! Giveaway begins April 19, 2019 and ends April 26, 2019. Open to residents of the US 18 and over, winner will be notified via email.